THREE MONTHS ago, Jacline Mouraud, a hypnotherapist from Brittany, opened her laptop, pressed record and offloaded her grievances. Her coup de gueule (angry rant) video against the rising fuel prices, posted on Facebook and YouTube, went viral. It also helped launch the gilets jaunes (yellow jackets) protest movement, which forced France’s president, Emmanuel Macron, into his first political climb-down when he cancelled a fuel-tax increase. 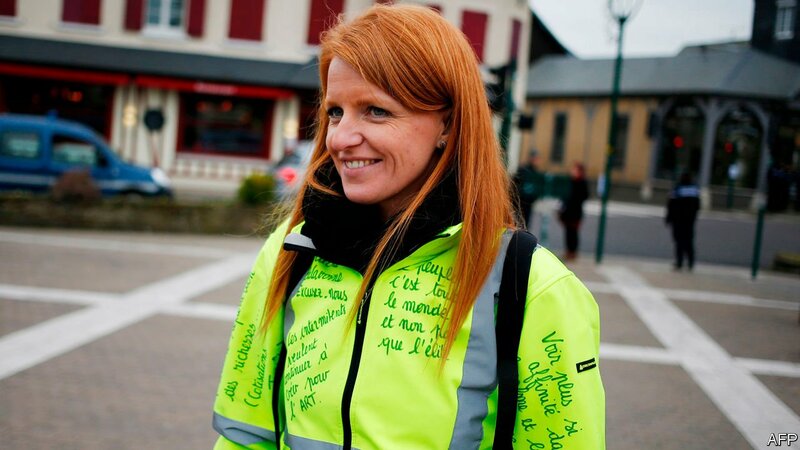 This week, buoyed by the popularity of the movement, Ms Mouraud decided to shift her protest from the streets to the ballot box, and launched a gilets jaunes political party. Hers is the second such effort to transform a leaderless movement into an organised political force.